Many new drivers can forget to indicate when concentrating on other things on the road. Additionally an indicator should not be simply flicked on and off, but left on long enough to give other motorists a good opportunity to be made aware of your intentions. Similarly, indicators should not be engaged too early or left on too long as it can confuse other drivers on the road. Not being in the habit of checking blind spots regularly can be another area that lets beginner drivers down while on the roads. Blind spots need to be checked in many different situations including when merging, changing lanes and when performing turning manoeuvres. Observation is a crucial testing area in the practical exam, with examiners awarding extra marks for using good observation practices at each opportunity. While it may seem simple enough, mistakes of not completely stopping at a stop sign, and not stopping before the line frequently occur among learners drivers. Not stopping completely usually constitutes an automatic fail in the driving test, so they are an important for learners to get right. An intersection with a roundabout may be preferred by a learner driver over one with traffic lights, however for many beginners on the road, roundabouts can also be a cause for confusion. Depending on the traffic volume, taking the opportunity when there is a gap in traffic can be difficult for learners to judge. Problems can also arise when giving way, as learners may assume other road users are exiting off the roundabout, when they are still continuing. Another mistake is not staying in their designated lane when using the roundabout, and not indicating when exiting the roundabout – even if going straight through. When it comes to roundabouts practice makes perfect and it is advised to begin with basic roundabouts in residential streets, rather than high volume ones. 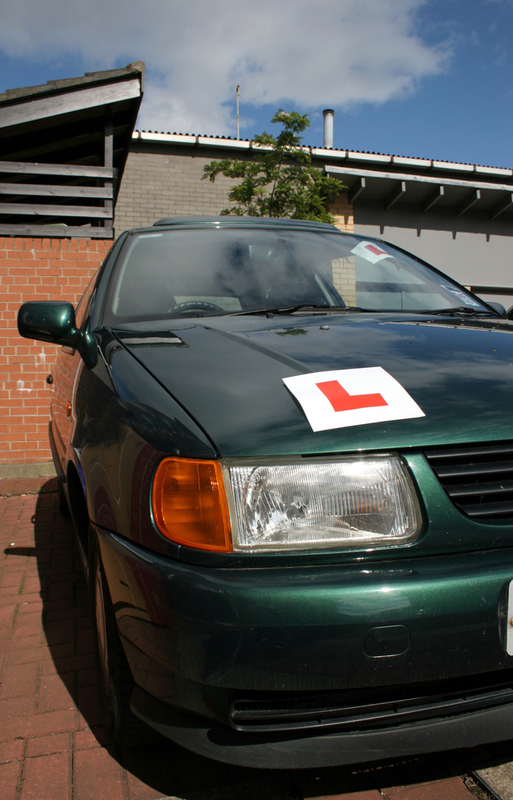 There’s no doubt about it – there is a lot for learner drivers to remember and stay aware of when hitting the roads. Taking in all this information and advice can seem overwhelming, but the team here at A Grade Driving School are available to help and can take some of the stress out of driving by teaching you the best driving habits right from the start. We hoped you learned something from today’s blog post and look forward to helping you become confident and at ease on the roads in Brisbane. Call us to find out more about our professional driving lessons and instructors today on 1300 885 585. This entry was posted in Driving lessons by Michael. Bookmark the permalink.